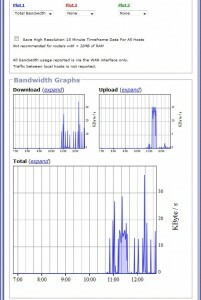 Over the past month, I have been having issues with the IPS’s Mb quota being used up. Given my current router is a Linksys WRT54GL I found a mention of Gargoyle Router. 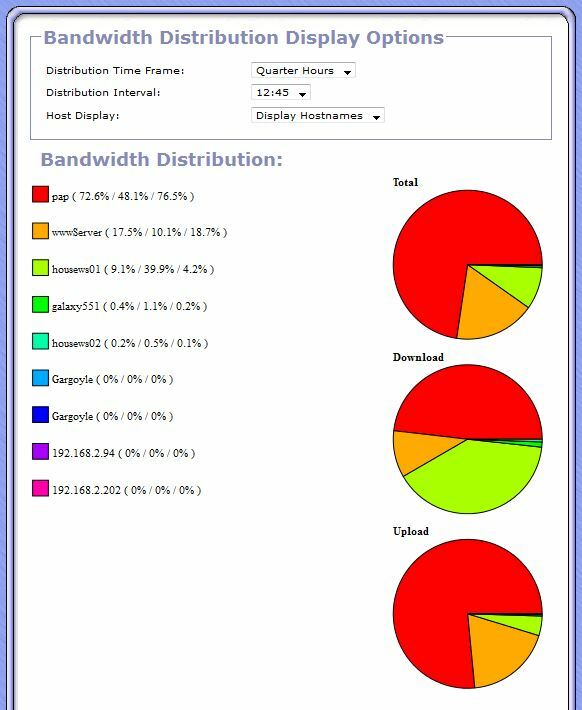 After a little bit of investigation, Gargoyle Router *seems* to provide the answer to what is chewing up my bandwidth and also provide a few *very* nice features, such as client quota, traffic shaping and also eliminate possible wireless threats. This is an ideal setup for keeping tabs on flatmates, kids, work colleagues, etc. The split I have used is per function, however this can be setup on per-individual basis. 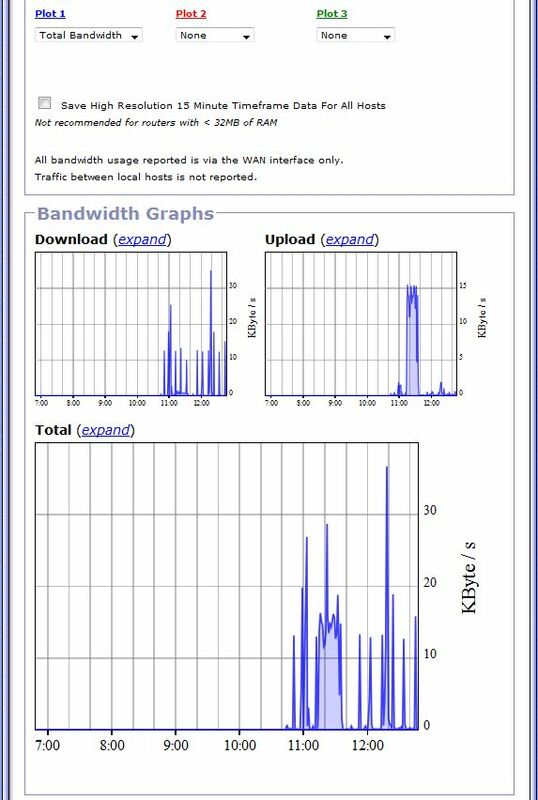 In my situation, I receive 50Gb from the ISP on a monthly rotation. I have 192.168.2.x (1-49) for client machines, 192.168.2.x (50-99) for wireless guests, and 192.168.2.x (100-254) for servers. I host a web server at home for my blog, PAP device for my VOIP, and the rest are pretty standard. My router is a plain-Jane WRT54GL v1.1 that will accept open source firmware – ie DDWRT, OpenWRT, Tomato, Gargoyle Router – you get the picture. So, once you have setup your Gargoyle router and are able to connect to the internet – the workstations; lets begin. 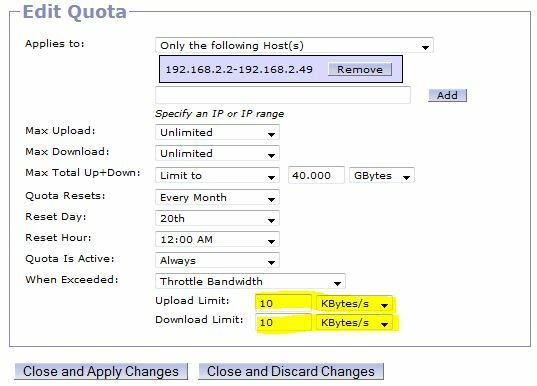 First goes through and allows 40Gb to clients, Second gives 100Mb to guest wireless devices and the last limits my servers to 20Gb monthly usage. 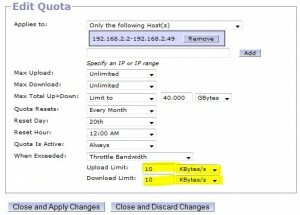 You will notice that when creating the rules you also get the option to limit the bandwidth or completely drop connection dependant on the rule you have setup. Ok, so now you have your quotas setup. Lets have a look at the eye-candy! 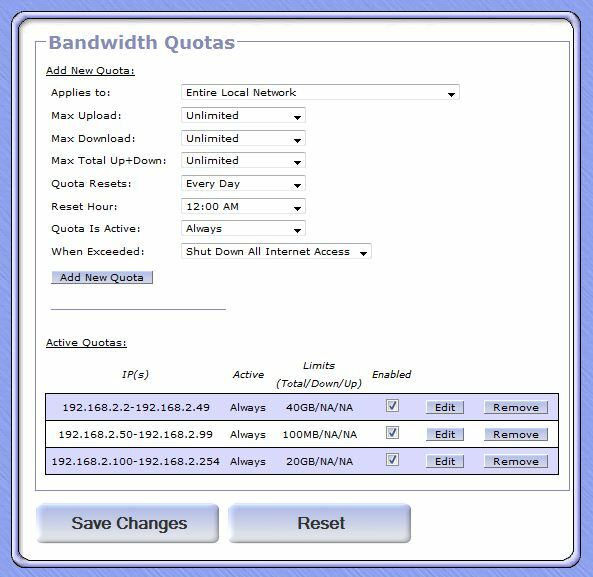 Clicking on “Status”, “Bandwidth usage” will allow you to act big brother over whatever IP/Hostname you choose.